The decision comes as the company, known for its iconic snack cakes like Ho Hos and Ding Dongs, says it doesn't have enough cash on hand to pay retirement benefits to some former employees. "Anybody's got a reason to be upset who lost their job if there handing out large amounts of money," Paul Carroll told ABC News. In a statement overnight, Hostess said the bonuses are designed to keep top brass from leaving before winding down what's left of the company "quickly and cost-effectively." "I was qualified to draw my pension, with no notice I lost about 70 or 75 percent of it I didn't work 34 years to lose it," Carroll said. Hostess was given interim approval for its wind-down last week, which gave the company the legal protection to immediately fire 15,000 union workers. 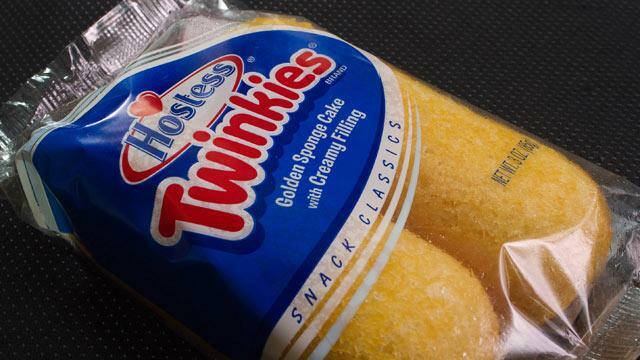 Hostess said last week it will retain about 3,200 employees "to assist with the initial phase of the wind-down," which is expected to last about a year. The bakers union went on strike Nov. 9, when the company imposed a contract that would cut workers' wages by 8 percent. The Bakery, Confectionery, Tobacco Workers and Grain Millers International Union (BCTGM) said the contract would also cut benefits by 27 to 32 percent. Hostess, which is privately owned by investment firms, has struggled in recent years with two bankruptcy filings. The company said it "has done everything in its power to pursue a reorganization of its business as a going concern, including spending the better part of 18 months negotiating with its key constituents to obtain a consensual agreement." ABC News' Jeanette Torres and Susana Kim contributed to this report.